Chris Moore of Mississippi shows off a red grouper caught Aug. 21 about 7 miles offshore using shiners for bait while on a charter with Capt. Warren Girle. Fishing around Anna Maria Island remains good despite red tide. There are plenty of fish to be caught in areas where red tide doesn’t exist. In these areas, I’m noticing the water is clean, clear and holding plenty of fish. Whether fishing inshore or slightly offshore, the key is getting to your spot without running through patches of red tide. Avoiding these patches of bad water helps your bait stay alive until you reach your fishing destination. If you’re successful at this, you should be successful catching some fish. On my excursions with Southernaire, I’m fishing inshore, where areas of clean water are yielding a variety of species. Mangrove snapper seems to be the best-seller around docks. To find these tasty little fish, I’m looking for one clue — glass minnows. Finding dense schools of bait fish is a sure sign of snapper. And, to tell you the truth, the glass minnows don’t only attract snapper. I’m also putting clients on redfish, large jack crevalle, catch-and-release snook and an occasional flounder. Fishing other structure — artificial reefs, wrecks and rock piles — also is yielding good action. While in Tampa Bay, I’m catching Spanish mackerel and snapper. Blue runners and numerous juvenile grouper also are present. So, once again, don’t be discouraged by the current situation with red tide. In areas where there is clean water, the fishing is quite good — you just have to be willing to search for good water. That’s when a scouting trip comes in handy. A quick, early run to your favorite spots will guide you on your fishing trip. Capt. Warren Girle is evading the red tide by working charters offshore. Artificial reefs and ledges in 30-50 feet of water are producing a variety of species on live shiners and pinfish as bait. Dropping baits to the bottom on a weighted rig is yielding mangrove snapper, Key West grunts and even keeper-size red grouper. Fishing baits on the surface on a free-line is attracting macks and blue runners. Capt. Aaron Lowman is doing his best to avoid red tide, which is leading him to a wide-ranging variety of spots. On some days, Lowman is fishing in the Gulf of Mexico. 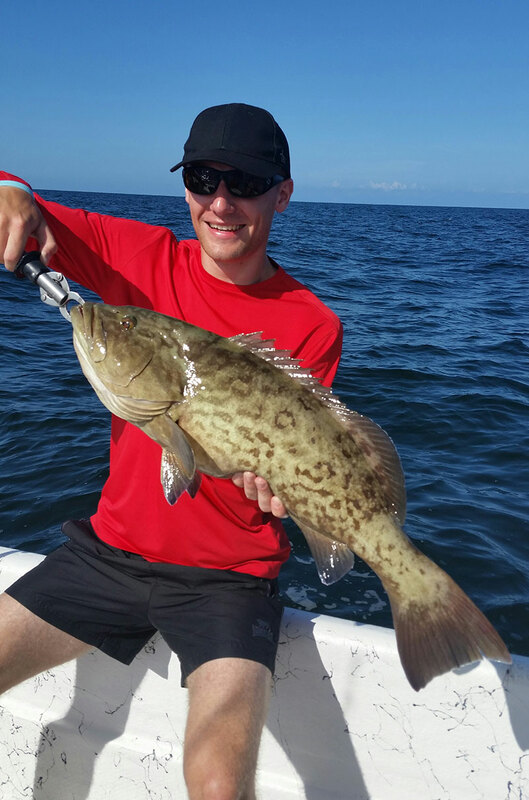 Finding ledge and artificial reefs is producing good action for the captain and his anglers. Bottom fishing with live shiners is yielding mangrove snapper, porgies, flounder and a few grouper. An occasional cobia is being hooked, too. Fishing inshore on other days also is producing a bite. 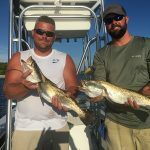 In areas less than five minutes from Anna Maria Island, Lowman is targeting catch-and-release snook, spotted seatrout and even a few redfish. Capt. David White of Anna Maria Charters is catering to the sport fishers on catch-and-release snook along the beaches where there is no red tide. He is finding black drum in these areas, too. Moving into the Gulf of Mexico, White is targeting Spanish mackerel and mangrove snapper around the artificial reefs. 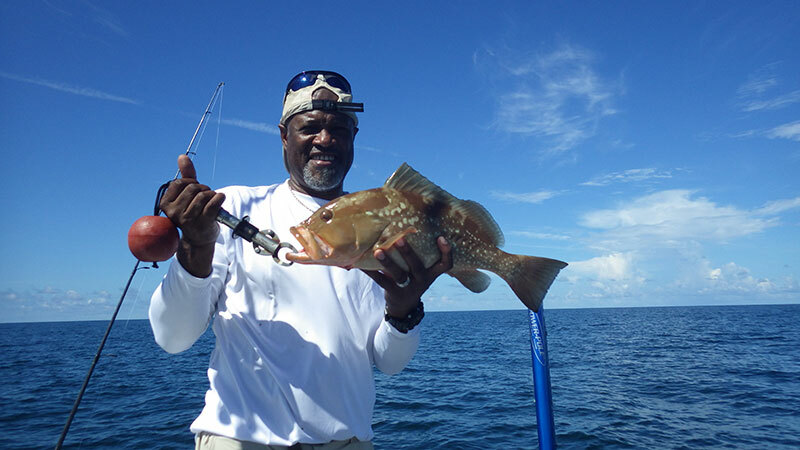 Finally, moving to depths of 50 feet and fishing around ledges is producing some action for his anglers on hogfish. Capt. Jason Stock is running offshore to fish his charters around reefs and wrecks. 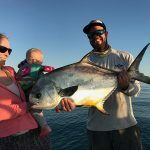 Casting live pass crabs over these areas is attracting some permit weighing 10-15 pounds. Also in these areas are numerous macks, sharks and goliath grouper. Moving inshore, Stock is targeting redfish around clear mangrove shorelines and docks. Lastly, Stock is locating late-season schools of tarpon in Tampa Bay. Jim Malfese at the Rod & Reel Pier says fishing is a daily occurrence, but catching fish is sporadic. 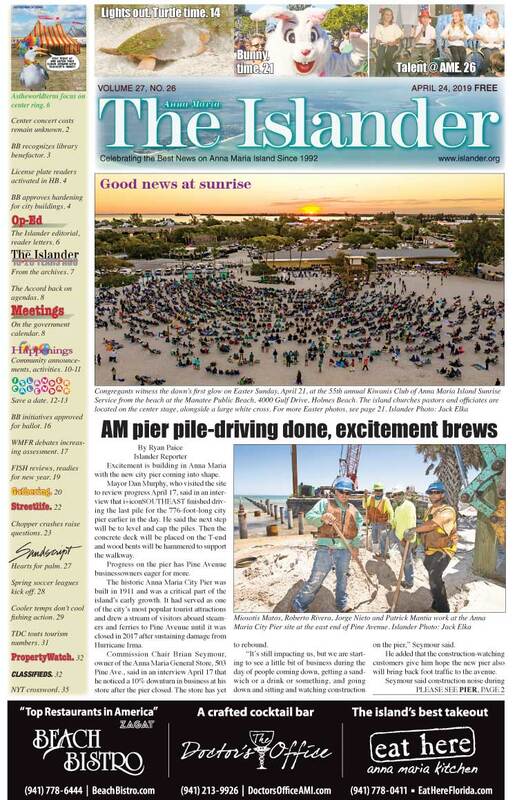 On days with the right winds — when there is no red tide around the pier — fishers are having some success. On one such day, a large school of pompano took residence around the pier to escape red tide. Pier fishers lucky enough to be in the right place at the right time enjoyed a couple of hours of nonstop action. They even found a few permit mixed in with the pomps. On other days where there is clean water near the R&R, catch-and-release snook fishing is satisfying sport fishers, while flounder, mangrove snapper and redfish are going in the cooler. Still there are the days when red tide is apparent. These days, it’s best to just walk up the stairs to the restaurant and have a cold beer and a cheeseburger. Neither the toxin nor the smell rise to the upper level.